The French verb faire means to do or to make. 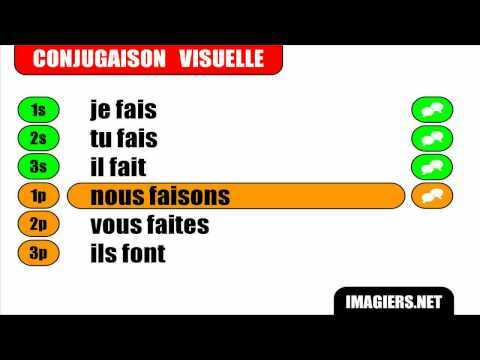 Note that the vous form (faites) is different to the je and tu forms (fais). Do you have a language question Ryan? "Je fais un spectale" is "I'm doing a show". So, what's "I'm creating a show" in French? To say "I'm creating a show" in the sense of I'm organising it to be played etc, you can use the phrase monter un spectacle: "Je monte un spectacle avec une troupe d'acteurs exceptionnels."